This badge was issued to ELISSON FERRAZ ALMEIDA on 19 Jul 2017. This badge holder has a solid foundation to have a client conversation about how IBM Cloud can help drive positive outcomes for their business. 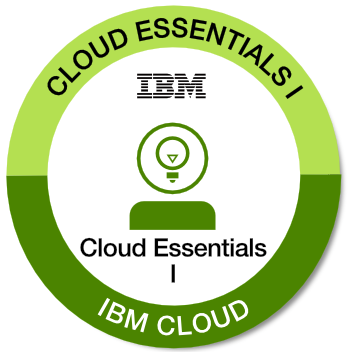 The seller can help drive IBM Cloud opportunity identification (OI). They also have an understanding of the cloud market, competitors, entry points for seller conversations, key offerings including Hybrid Cloud, Private Cloud, Cloud Managed Services, Cloud for SAP and Oracle and Bluemix. Passing the 11 associated assessment tests.